HEVA recently signed an MOU with the Government of Kenya to conduct an action research and Centre of Excellence pilot project with Uhuru Market stakeholders. In order to quickly discuss next steps, the British Council convened a meeting in concert with us at the Radisson Blu Hotel in Upper Hill on Friday 8th March 2019. This meeting was to brief several existing and prospective partners for the project. We were honoured to have in our midst representatives from the Office of the President’s SME Advisory, Nairobi County, Uhuru Market, DFID, the Danish Embassy, Evidence Action, the Ministry of Trade, the Kenya Chamber of Commerce, the Business Advocacy Fund, RTI and several independent sector experts. George Kogolla, Director of Programs and Partnerships at the British Council, welcomed the guests and introduced the project, explaining HEVA’s existing and evolving relationship with them. After that, Jill Coates, the British Council CEO, discussed the potential of the market project to be transformative to the realities of young people in the informal sector, and its overlap with the BC’s work in skills ranging from social enterprise support, educational exchanges, the Classroom Project, among others. Anne Mutahi, the SME Advisor to the Office of the President, reiterated the urgent need to support Kenya’s young people with employable skills and access to technologies, as well as to stimulate domestic markets. She noted that projects like these would complement the government’s work around the Big 4 Agenda, particularly shoring up local manufacturing and reducing reliance on imported second hand clothing. George Gachara, HEVA’s Managing Partner, then introduced the Action Research Project and presented the Action Plan. He also presented some members of the Technical Team: HEVA’s Maureen Njuguna and Sunny Dolat, as well as sector experts Brian Okoth, Rajeev Arora and Kwekwe Kivutha. Each of them introduced themselves and their area of expertise, expressing enthusiasm for the project to begin. After this, there was a moderated conversation about the Action Research Project. George Gachara emphasised the need for scalable models as the Uhuru Market, as well as other key markets around the country, serve as critical entry points for manufacture, wholesale and retail of consumer garments in high demand. Robert Njoroge, the British Council’s Sub-Sahara Africa Manager, discussed the synergies between this project and the wider BC strategy for grassroots interventions in skills building. John Kiarie, the Chairman of the Uhuru Market Traders’ Association, welcomed the project, willing it to start and end successfully, noting the several failed attempts and promises that had been made to the traders and market stakeholders before. 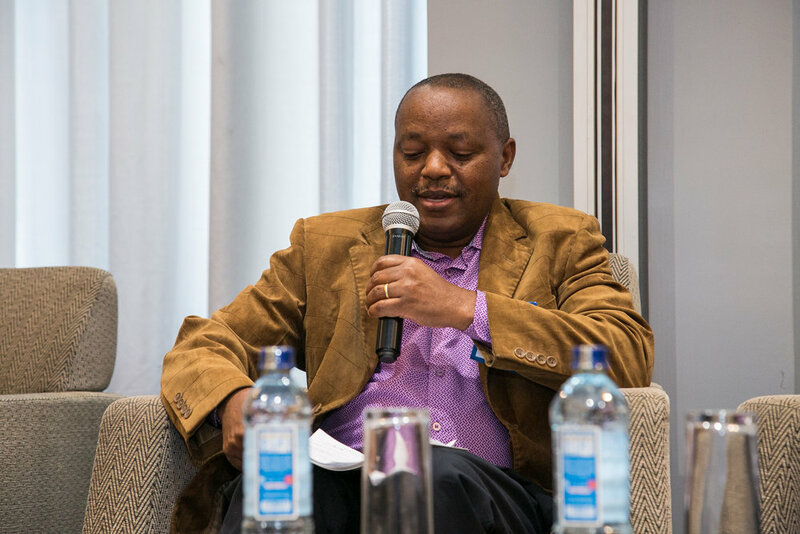 Finally, Fred Nzioki, the Nairobi County Executive Committee member in charge of Commerce, Trade and Industrialisation, spoke about the County’s readiness for productive public private partnerships, the existing room to coordinate with current county plans in order to be systematic, and the need to improve county law on market spaces. George Kogolla closed the session by urging the partners in the room to make substantive commitments to make this research and pilot project a success. HEVA has began preliminary explorations as regards this project, and will soon share some progress in that area. We remain grateful to the British Council and our other partners for their support in this and other creative economy interventions! Young Women in Creative Enterprise Fund Reopens for New Applications!